In a previous life, Pamela Sherwood earned a doctorate in English literature, specializing in the Romantic and Victorian periods. 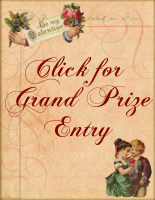 At present, she writes historical romance and fantasy. 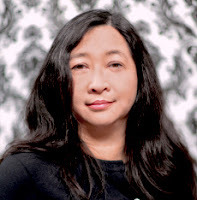 Her books have received starred reviews in Booklist and Library Journal, and Waltz with a Stranger, her debut novel, won the Laurel Wreath Award for Best Historical Romance in 2013. 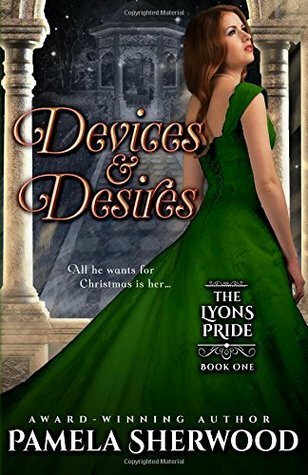 Devices & Desires, Book One in her current series, The Lyons Pride, won the 2017 Golden Quill for Best Historical. Pamela lives with her family in Southern California, where she continues to read voraciously, spin plots, and straddle genres to tell the kind of stories she loves. 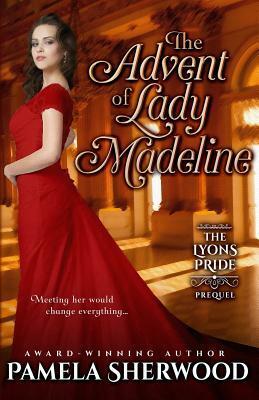 Check out Hugo and Madeline's love story in The Advent of Lady Madeline. 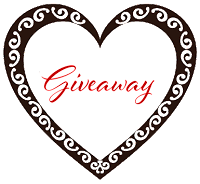 Special thanks to Pamela Sherwood for sponsoring this giveaway. Hi, Sue! I rather like that twist myself, so I had fun playing with it in this story. I'm really enjoying reading the Valentine letters from heroes and heroines. It's a different way of sparking interest in the books. Thanks! I agree, Dee. 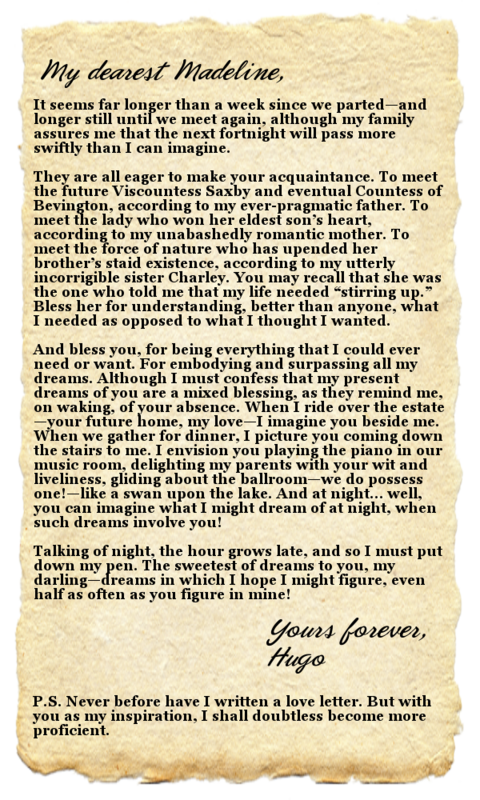 Reading characters' love letters can be very revealing. I love the flirtatious banter between the two. Can’t wait to read the book. Thank you, K. I hope you enjoy reading it. Wonderful letters. Love their anticipation. Thanks, Carol! Anticipation definitely lends spice to romance. Amazing love letters! Thank you for the chance to win your Giveaway. Thank you, Venette! And good luck in the Giveaway! Hi Pamela! You are new to me so glad I found you! I love historicals and this one sounds great and of course there is nothing like love letters!! Hi, Lori! I am happy to be found, and I am glad you're enjoying the love letters! What a great way to meet authors! And as you are new to me , I've another to add to my stalking list!! Hi, Cyndi. Nice to meet you too. I always enjoy hearing from readers, both present and future. Such banter. Love the letters. Hi, Joanne! Banter between lovers is always fun. Was wondering, is it easier or harder to write novellas/prequels after or before you've already released your book? Hi, Lilah! Personally, I would say "after." Because I'd actually written Book One of The Lyons Pride before getting smacked on the head with two prequel ideas. Madeline's story proved fairly easy to write. Elaine's, on the other hand... not so much! I Would Love to read this book, but can't afford too. Hi, Rose! My books are on Overdrive, so your library could purchase them on request. And libraries are a great way to sample new authors! Hi, Have you gotten to visit the places that you write about? Hi, Suzannah! I've been to some of them. While vacationing in the UK, I visited London, Yorkshire, and Cornwall. Other places too, but those three locations have figured prominently in my works to date. Thanks, Jean! I hope you get the chance to try it. I am so enjoying these letters and your book sounds soooo good, I need to check it out! Hi, Carole! I hope you enjoy my book if you do!